Christian meditation apps are in demand these days. If you are a Christian, you would love to stay fit and meditate. As a result of which it becomes more important for me to make you aware of some of the awesome meditation apps present for Christians. These apps wold help you meditate spiritually. The best part about these christian apps is that they are absolutely free to download. These apps would serve you double benefit. They would help you to stay calm, relax and fit at the same time and on the other hand they would help you in being a better christian. 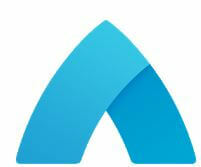 Abide has been one of the most talked about apps. It has been known for its quality and awesome meditation practices that they preach. Millions of people have already used this app and that includes some of the great personalities. The list includes Grammy award winners , Christian therapist and various leaders all over the globe. They have included various topics that are dedicated to different meditation strategies. Hence this app helps in overcoming anxiety and worry, Conquering Depression, Rest, Sleep, and Insomnia, Health concerns. They also have included in-app purchase from 4.99 $ to 29.99 $. Meditation will surely help you improve your overall fitness and these apps will help you keep yourself motivated. You can check out these motivational apps for daily dose of motivation. The developer of this app is praise and worship. With average ratings of 4.0, it is one of the better apps. It has got power of meditation and the offline audio music and bible verses. You will feel closer to GOD. It has got the power and purpose to make your mind relaxing and be close to the God be within us. The best part that I liked about this app is, it is free to download and there is no need of internet connection. When you will start using this app you will find an inner mental peace and strengthening of relationship between you and GOD within you. The developers of this app keep on adding new meditations and new christian teachings every month. 10 Christian Meditations app is another beautiful creation by Musemantik. This is a nice app to use for all the people who have just started their meditation pathway. 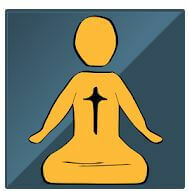 This is one of the top ranked apps that could help you to be closer to GOD and meditate. The developers have also included the pictures and music that will help you grow as a spiritual person. As the name suggests, the developers have only concentrated on 10 types of meditations. Topics include Beyond thought, Beyond desire, Paradise lost, The Spirit of Life, The two paths, GOD is present, Searching for wholeness, Abundance, Courage, Hope. All in all, this is pretty easy to use app and is of great use to every christian who meditates. If you have got only 5 minutes to meditate, 5-minutes Christian Meditation app is the one for you. This app is specially made for people who believe in GOD. People who are in challenging phase of their lives can use this app. 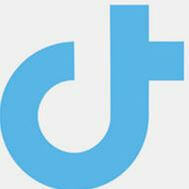 When you start using this app, you will find a chunk of positive energy within you. You will have a new perspective to life. The most important thing that you should keep in mind is that you need to be consistent with it. This app will teach you to live healthy and remove unhealthy thought. Hence the developer state that, when ever you have time you can use this app for 5 minutes. With the rating of 4.7 this is one of better apps to use. This app contains great audio-meditations which help users in day to day life. Jesus Words Meditation app has three parts. The first part contains silence through breathing and body awareness. The second part would help you find place of inner silence. With the third part you will feel peace and guidance and closure to GOD. It has great features like it has meditations from different categories, you will get the option to set the meditation time. There is an option to like the meditation to like and you would also be able to take notes after the meditation is complete. When it comes to christian meditation apps, Daily meditation App is one of the go to apps that you can use anytime and anywhere. The developer of this app is Christian Channel. This app is widely used by people who have hectic lives and work in an office. 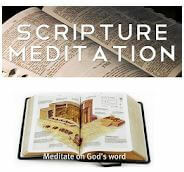 Along with the meditation, it gives you a scripture daily and the explanation attached along with it. Hence this could be considered as the daily source of inspiration to keep yourself fit and closer to GOD as well. 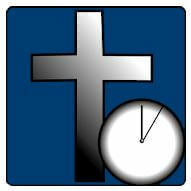 Many user consider this app as a daily discipleship towards GOD and his path to lead a healthy and peaceful life. This app can also be said to have been inspired from Holy Spirits lesson for life. 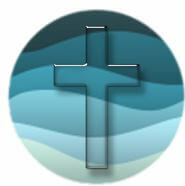 By using this app by Christ Audio you can train your mind to be more united with Christ. This app has been developed by Build Fire and is for only iOS users as of now. 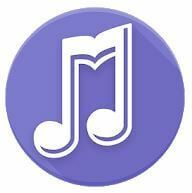 It is freely available in the iTunes and can be downloaded from the store directly. The developers have also included a 7 Day Guided Christian meditation course. Users who have used this app state that, daily meditation practices can actually help in changing the way they think and the way they process food and energy. Hence it improved the overall productivity of day to day lives. They also felt the emotional changes within them. I am so glad that you have listed these apps for GOD. Since I will be starting my meditation journey soon. I would like to thank you.